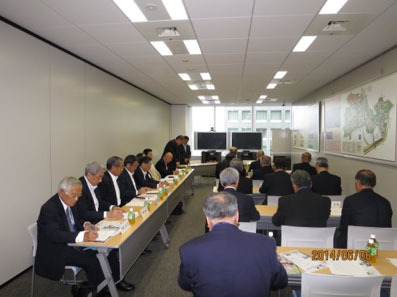 The 16 member council of Baseball Federation of Japan (BFJ) met in Tokyo on June 5 and formally approved BFJ’s Fiscal 2014 (April, 2014 to March, 2015) activity program and budget which have already been partially implemented for the last two months. BFJ plans to send its National Teams to the following 7 tournaments which are duly sanctioned by International Baseball Federation (IBAF) -- and by the Baseball Federation of Asia (BFA) for the events taking place within Asia. Development of baseball will be promoted in association with BFA, which includes sending coaches to Asian countries. An annual Umpire School will be held in February when a few umpires from Asia will be invited. In November, 2013, BFJ dispatched a veteran instructor to West Asia Umpire School in Colombo, Sri Lanka attended by 60 umpires in the region including Pakistan, India, Iran and Nepal. Baseball and softball coaching for junior girls and boys will be held again in December as “Olympic Movement Fest” in Northeastern Japan. Sponsored by the Japanese Olympic Committee, the project aimed to provide reconstruction support for areas affected by Great East Japan Earthquake on March 11, 2011.